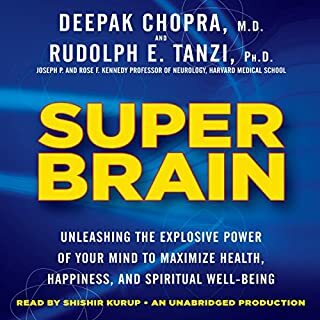 Entfalten Sie Ihr bisher unerschlossenes Potenzial mit dem Weltbestseller "Super-Brain" von Deepak Chopra und Rudolph E. Tanzi. Die Autoren verknüpfen aktuelle Forschungsergebnisse aus der Neurowissenschaft mit spirituellen Einsichten und stellen auf überzeugende und anregende Weise die Fähigkeit unseres Gehirns dar, unglaubliche Selbstheilungskräfte zu entwickeln. Sie entwerfen eine neue Vision des Gehirns und zeigen, wie Achtsamkeit und Meditation nachweisbare Veränderungen in den neuronalen Bahnen bewirken. Ihr gemeinsames Fazit: Nichts ist unmöglich. 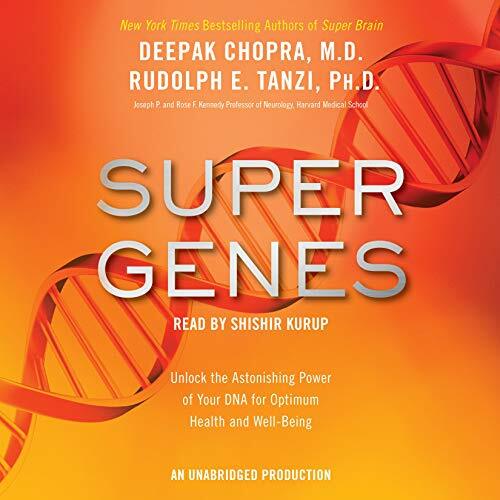 The authors of the New York Times best seller Super Brain present a bold new understanding of our genes and how simple changes in lifestyle can boost genetic activity. The leap into "radical well-being" is a promise waiting to be fulfilled. Learning how to shape your gene activity is at the heart of this exciting and eagerly anticipated book from the best-selling duo behind Super Brain, which became a nationwide hit on public television. Wow this has been a great ride. Personally I've been working on my own wellness routine over 23 years. I have to tell people around the world this great message for humanity. 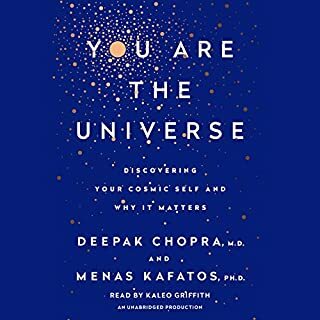 I'm so grateful that when the audiobook finished I cried on my knees thanking the universe for this tremendous and valuable information. I'm going to hear this 100 times to memorize each part of this book. Thank you authors for leading us to enlightenment. Interesting to know that your genes are not necessarily your destiny and that small changes in your life can render them malleable. Really liked that the suggested changes in each section were broken down into "easy choices," "harder choices," and "experimental choices." The authors also encourage only making one change per week with the goal of it becoming a permanent one. I did attempt some of the easier changes, and I have to say that they are easier said than done! I will keep trying. 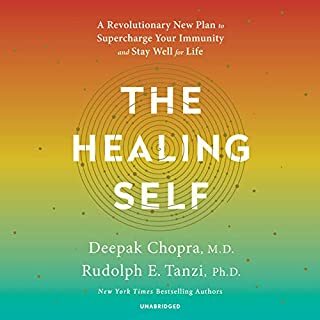 A lot of scientific knowledge at first, but these first few chapters lays the groundwork for understanding why the lifestyle changes they suggest are so important. Fascinating read! 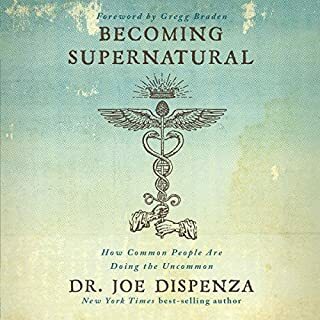 I would recommend this to those who are wanting to learn more about who you are and what your potentials could be if you awakened to the possibilities within your DNA. What was one of the most memorable moments of Super Genes? I can't say one moment, but I really enjoyed some of the studies that were done to explore the potentials within our DNA. What does Shishir Kurup bring to the story that you wouldn’t experience if you just read the book? I loved his voice and his narration was very good, not dry, but right there with with right emotional inflections for what he was reading. I just see the whole potential for DNA Activation work that will arise up from the science that is being presented. It is time for the science and the spiritual teachers to bring their knowledge together. 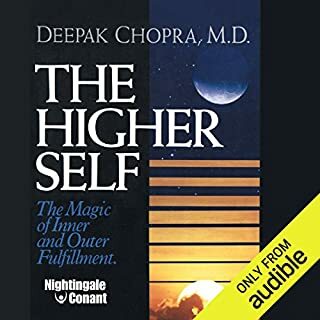 It is a very stimulating book and wonderful to listen to so you can think fully along with the audio instead of having to read as well. Found it expanded my mind more than reading. Learned a greater understanding of what to do & incorporate for optimum health, prevention, or disease reversal. This one literally saved my friend's life! Thanks Depok, well done. amazingly interesting there is hope! My family always said their obesity and tooth loss was genetic. I found this book amazing! it gave me hope and a sense of determination to save my children from reversible damage. thank you both for sharing your knowledge. The world is changing around us. Medicine is struggling to keep up with the tremendous paradigm shifts. Taking charge of your own health is the only solution. In this informative & easy to understand book. You will take a significant step in your journey. This is a very informative book of what is known of the epigenome, and what is to come in the future. It talks a little about what we can do to start changing our DNA now, by changing our habits. 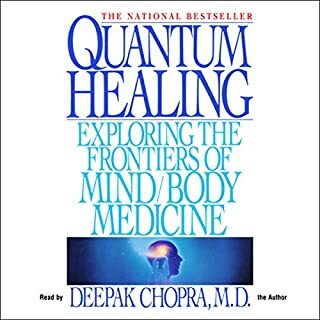 It is not a how-to book, but it gives us a head-start, until specific gene treatment, of some sort, will be available to ward off diseases of the body and mind, which will be passed on to the DNA of unborn children and their children's children.